This Week's Top 5! Here's What's Happening this Weekend! September 14, 2018: Enjoy an evening on the bay front and some free live music at the 17th annual summer music fest, "Friday Fest," at the Van Wezel with the Dr. Dave Band. A Bradenton favorite performing for more than a decade as a top-choice house band, this group knows how to wow a crowd with high-energy Southern Rock blended with bluegrass banjo, fiddle & more to close out this year's summer music fest series. Bring your lawn chair or blanket, take in the music along with the beautiful Sarasota sunset and enjoy food and beverage from local vendors. Outside food and drink is prohibited. This free concert takes place rain or shine, it moves indoors in case of inclement weather. 5 p.m. - 9 p.m. The Bayfront Lawn, Van Wezel Performing Arts Hall, 777 N Tamiami Trail, Sarasota, FL. September 14 - 16, 2018: Sarasota Bradenton Fall Home Show for new ideas for your home. See home improvement experts for advice and interesting products for your home. Friday & Saturday: 10 a.m. 7 p.m., Sunday: 10 a.m. - 6 p.m. Free admission and parking. Robarts Arena at the Sarasota Fairgrounds, 3000 Ringling Blvd., Sarasota. September 15, 2018: The 6th annual Life's a Beach Triathlon. It's somewhat of a kinder, gentler triathlon with a shorter swimming course. There's a 200 yard swimming race, 5 miles on bike and a 2 mile beach run. Register early and save. Starts at 6 a.m. with racer packet pickup. First wave goes at 8 a.m. Beach bash after party when you finish the race. Lido Beach Resort, 700 Ben Franklin Parkway, Lido Key, Sarasota. September 15, 2018: Hosted by the Sarasota Scullers, it's the Battle of the Bridges Rowing Regatta. Traveling through the heart of Venice on the Intracoastal Waterway, athletes will use their strength, skill and teamwork to maneuver boats under three bridges. Battle of the Bridges Regatta is a USRowing Sanctioned event so Rules of Rowing will be used to ensure a fair, safe, and fun regatta. You can join the excitement along the Legacy Trail or Venetian Waterway Park. Free to all spectators. 8 a.m. - 3 p.m., Venice Historic Train Depot, 303 E Venice Ave., Venice, FL. September 15, 2018: Help Keep Sarasota County Beautiful on the Annual International Coastal Clean Up Day. Various locations include: Sarasota, Venice, Laurel, Nokomis, North Port and Englewood. At Oscar Scherer State park you may paddle or walk along South Creek picking up trash on the banks or by walking the shores of the freshwater lakes. Free event and park entry for registered participants. Canoes are provided but limited. Registration opens in early August, 2018. (941) 861-5000 9 a.m. - 12 p.m.
September 1st -Haunted hike: Hike it Florida will lead a walk through Bradenton with a haunted twist. Explore hidden corners of downtown Bradenton as guides share documented and personal experiences of the historical area, and possibly catch a glimpse of the town’s “former residents.” Details: 8-9:30 p.m. Saturday. Hike begins at Manatee County Public Library, 1301 Barcarrota Blvd., Bradenton. $15. Pre-registration required. Sign up at hikeitflorida.com. September 1 - 2, 2018: The 10th annual Downtown Venice Craft Festival. Art and craft vendors will be displaying their works. Everything from functional art to gift items to a green market with plants and things! Miami Avenue in downtown Venice, Florida. 10 a.m. - 4 p.m. Free admission and parking. September 1 - 2, 2018: Sarasota Sailing Squadron puts on its 72nd Annual Labor Day Regatta, its biggest event of the year. The event is attended by sailors from ages 8 to 80, both from the U.S. and Canada and it draws about a thousand visitors each year. It's free viewing for spectators. On City Island at 1717 Ken Thompson Parkway, Sarasota, FL. 941-388-2355. September 1 - 3, 2018: The 62nd Annual Pioneer Days Festival from 8 a.m. - 3 p.m. and Parade at 9 a.m. on Monday, Labor Day. Other fun over the three days includes Cardboard Boat Races, Shipwreck Dance, Open Car Show, a Diaper Derby, a Fish-a-Thon, a Corvette Car Show and more. West Dearborn Street, Olde Englewood Village. The Pioneer Days Parade begins at 9 a.m. at St. Raphael's Church. The traditional Parade route follows Olde Englewood Road, turns onto west Dearborn Street, proceeds to north McCall Road, turn left on North McCall Road. 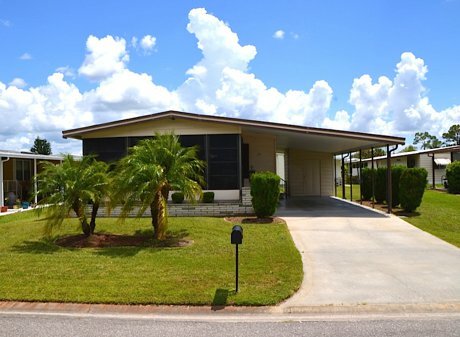 This sweet 2 bedroom 2 bath home is located in one of best 55+ communities in the area. With low a monthly fee that includes cable TV, community pool, tennis courts, a fitness center, and a community boat ramp, this land owned home is a great choice whether you are a full or part time resident. The master bedroom is spacious with room enough for a full size bedroom suit. The master bath has a vanity area with two built in closets to store your linens or extra bath items plus cabinet space under the sink. Each of the 2 bedrooms has its own sizable walk in closet. The second bedroom can easily be used as a den or office giving the new owner of this great home freedom to choose! The large living room is area is adjacent to the kitchen and dining area and is a fantastic set up for entertaining. There is a workbench, full size washer/dryer, laundry sink, and shelving in the storage area under the carport. 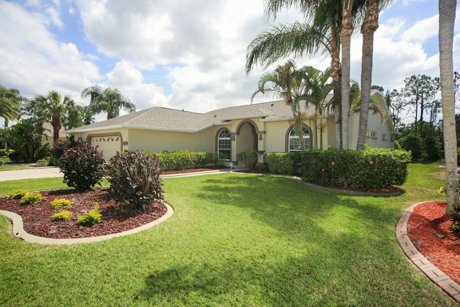 This community is all about lifestyle and what a lifestyle it is to live in Harbor Isles! Step into this Inverness model and you’ll immediately begin to see how well thought out this floor plan is. The Inverness offers 2,822 square feet of living space, four bedrooms, three and a half baths, a three-car tandem garage, and a highly desirable one-story open concept floor plan. Whether you are downsizing or looking for a larger home, this plan works. Enter through the front porch into the foyer and you will pass the study, 2 generously sized bedrooms, a full bath and a powder room. Moving into the large kitchen, you will be amazed at the ample space and the beautiful center island complete with granite and a sink, and beautiful wood cabinets. The kitchen island is a fantastic place for guests to gather. Adjacent to the kitchen is a breakfast nook and on the opposite side is the dining room making informal or formal meals a cinch! Just off of the kitchen is a spacious family room which is at the center of the home and is adjacent to a game room or flex space, a wonderful place where you can be separate from everyone yet still connected. The 4th bedroom is located at the back of the home and has an en suite bathroom and view of the pool. The sizable owner's suite has a large walk-in closet and owner's bath with a luxurious garden bathtub, and his-and-hers vanities. There is laminate wood flooring and ceramic tile in the main living areas make clean up a breeze while the carpeted areas provide a cozy feeling in the bedrooms, study, and game/flex room. The large brick paver lanai has been extended and runs along the entire width of the home so you’ll enjoy plenty of space while you swim in the pool or relax in the spa. 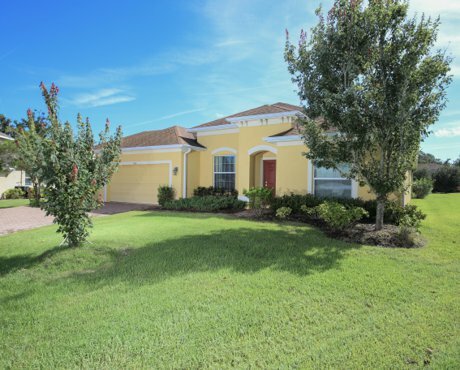 This amazing home is located on a cul de sac in Oak Hammock, a lovely gated community near to shopping, and just a short drive to St. Pete, Tampa, and world class Gulf Coast beaches. For more information on this great property, Click Here! August 16, 2018: Stroll, shop & sip - or sip, shop & stroll! It's the downtown Venice Wine Walk. Stroll the 3 avenues of historic downtown Venice and enjoy wine from participating stores and wine specials at participating restaurants. To participate you must check in and get a $10 (21 and over) wristband from the kiosk in Centennial Park or Breezeway on Miami Ave (Next to Burgundy Square Cafe) the night of the event. Pick up your wristband and a list of participating downtown businesses offering discounts and specials. A novel way to approach shopping! 5 p.m - 8 p.m. downtown Venice. August 17 - 19, 2018: There's a Gem, Jewelry & Bead Show with lots on display to see from dealers from around the country selling gems, jewelry, beads, crystals and more. Adults $5. 10 a.m. - 5 p.m. Sarasota Municipal Auditorium, 801 N. Tamiami Trail, Sarasota. August 18, 2018 - September 3, 2018: The annual Englewood Pioneer Festival is a family-friendly occasion filled with fun events including: Aug. 18: Little Miss & Mr. Englewood Pageant, Aug. 25: Chalkfest 7.0, Aug. 25: Kids Shipwreck Dance (13 - 17 y.o), Aug. 26: Fish-a-Thon, Sept. 1: Cardboard Boat Race, Shipwreck Dancein Pioneer park 5 p.m. - 11 p.m. Sept 2: Diaper Derby, Pioneer Days Festival and Open Car Show, Sept 3: Englewood Pioneer Days Parade & Festival and Corvette Car Show. This Week's Top 5! Looking for something to do this week/weekend? Here's What's Happening! Now - July 28, 2018: The Ringling Museum presents their Summer Circus Spectacular. It's presented in collaboration with The Circus Arts Conservatory of Sarasota. Various show days and times. Tickets are $16 Adults/ $12 Children 12 and under. The Historic Asolo Theater, 5401 Bay Shore Road, Sarasota, FL. 941-358-3180. July 29, 2018: Get in some shopping at the Coquina Beach Market on Anna Maria Island. Find everything from local artists, arts & crafts and fresh produce to plants, clothes, collectibles and more. Final market of the year until its return in November. 10 a.m. - 4 p.m. Free. Coquina Beach gulf-side, Bradenton Beach, Anna Maria Island. This week's top 5! Looking for something to do this weekend? Here is what's happening! July 19 - 24, 2018: The USA Volleyball Junior Beach Tournament Championships.The 12U and 16U age groups in both genders will compete July 19-21 with titles in the National Open, Region and Patriot Divisions. The 14U and 18U age groups for both genders compete for Open, Region and Patriot Division titles from July 22-24. The tournament expects to feature over 400 boys’ and girls’ teams from across the country ranging in age from 10-18. Crowds will be large for this 6 -day tournament. Siesta Key volley ball courts. Take your hat and sunscreen. Free admission and parking. Siesta Key Beach, Sarasota, FL. July 20, 2018: Enjoy Live Music in the Park at Cafe in the Park with (TBA). Food service: 6 p.m., Music: 7 p.m. - 9 p.m. Free admission. Enjoy music, food, weather, and views of Sarasota's most charming little downtown park. Seating is limited so feel free to bring a beach chair or folding chair. Cafe in the Park is just located south of downtown Sarasota in Payne Park, 2010 Adams Lane, Sarasota, FL. July 20 - 21, 2018: Historic downtown Venice brings back Christmas in July. While basically a sales promotion they will have Santa and Mrs. Claus on hand and participating stores will offer entry forms for a competition to win prizes donated by various member merchants including 4 gifts baskets totaling $1,000. There will also be big sales with over 50 downtown stores and sponsors participating. 10 a.m. - 5 p.m. Free Christmas Trolley rides throughout downtown from 11 a.m. - 4 p.m..
July 21, 2018: Celebrate Star Wars night at LECOM Park as the Bradenton Marauders take on the Daytona. Marauders players will wear Star Wars themed jerseys which will be auctioned off for charity during the game. The jerseys will be available for auction online and inside the park during the game where the jerseys are worn. Winning bidders will be allowed onto the field post game to receive the jersey from the player or coach who wore it. Gates open at 4:30 p.m. Game time: 6:30 p.m. LECOM Park, 1611 9th St w., Bradenton, FL. More info: 941-747-3031. July 21, 2018: It's their annual Christmas in July fundraiser for the Anna Maria Island Privateers Mission of Helping Kids & Community. See Santa and his sleigh at 6 p.m. for pictures with you and your kids. There will be a “Lotto Board” Raffle with Tickets going on sale at the Drift In on Bridge Street. The Lotto Board is guaranteed a $100.00 in Cash and a whole bunch of Lottery Tickets for your Scratching pleasure for more Pirate Booty. The Drift In on Bridge Street will be having a Pot Luck Christmas Dinner. Bring a Dish to share or make a Donation if you just want to Eat. 5 p.m. - ? 120 Bridge Street., Bradenton Beach, Anna Mairia Island, FL. 941-900-4141. Wildewood Springs is a beautiful community set amongst thousands of tall trees, lush foliage, sparkling lakes, and because it is a designated bird sanctuary, you’ll delight in the wide variety of birds to watch through out the day. 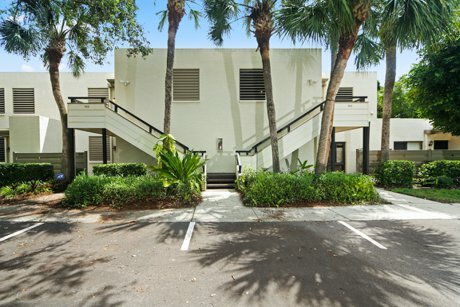 This 2nd story condo is just enough space to be comfortable without being too much to worry about. With two spacious bedrooms, two full baths, and an open living and dining area combination, this place is perfect for an investor looking to build a portfolio or a buyer looking to call this place home. The quaint kitchen has new wood-look vinyl flooring in 2017, new washer and dryer in 2017, new microwave in 2017, and new refrigerator in 2018. The guest shower tile was replaced in 2016 giving the area a nice clean look. Other peace of mind updates include a new hot water heater in 2017, newer AC in 2013 and the roof was just resurfaced in 2016. Come see this fantastic condo today! This charming, gently lived in, meticulously maintained home in Forest Creek offers 3 bedrooms, 2 full baths, a spacious den, and large dining area. The open floorplan is ideal for easy daily living and entertaining guests. The bright and cheery Kitchen has white on white cabinets, white subway tile backsplash, and tasteful gray corian counters, and a convenient breakfast bar. The generously sized Master Suite has beautiful wood look flooring and can easily accommodate a king sized bed, dresser, two nightstands, and an armoire. The Master Bath has a large walk in shower, a dual sink vanity with drawers and cabinets, and a linen closet. The Den is located behind double doors and can also be used as an office, media room, or a guest room for visitors. This fantastic home sits on an oversized corner lot with a huge rear yard that has a diagonal view of the pretty pond out back. Forest Creek offers a clubhouse, community pool, a dog park, and walking trails, so whether you’re relaxing on your screened lanai or taking advantage of one of the many community amenities, you’ll love calling this place home. Boat Races & Fireworks! Looking for something fun to do? Here's what's coming up! June 28, 2018: Offshore Grand Prix Festival Kickoff Party & Fundraiser. Featuring an Open Bar, Food Stations catered by Mattison's Bayside, a 50/50 Raffle, Silent Auction and live music by Kettle of Fish. 6 p.m. - 10 p.m. Dress: Island Casual. $150.00 Per Person, Van Wezel Performing Arts Hall Grand Foyer, 777 N Tamiami Trail, Sarasota, FL. June 30, - July 1 2018: It's the Sarasota Offshore Boat Races with Superstock & AquaX Races. Live Race Broadcast & Activities from the Sandcastle Resort at Lido Beach. Best Viewing off Lido Beach. Free admission and open To The Public. There's also VIP Race Viewing available at the Sandcastle Resort. There's a full slate of racing and festival activities. July 3, 2018: Sarasota: Get your pre-4th sparkle and boom boom on early! Enjoy music and a spectacular fireworks show with your family. Bring your picnic, blanket or folding chairs. Personal fireworks prohibited. You can bring your own food and drinks, however no glass containers are allowed. A variety of musical groups will perform. Do not bring your dog to this event as the fireworks display may frighten it. Free admission. 4 p.m. - 10 p.m. Fireworks to begin at 9 p.m. - 9:15 p.m. Nathan Benderson Park, 5851 Nathan Benderson Cir, Sarasota, FL. July 4, 2018: Sarasota: All American Barbecue and Independence Day Celebration on the grounds of Selby Gardens. Enjoy All-American favorites from Michael’s On East, live music from The Hydramatic and family activities as part of the celebration plus enjoy the fireworks over Sarasota Bay from Selby Garden's bay front location. 6 p.m. - 10 p.m. Selby Gardens, 900 S. Palm Ave., Sarasota, FL. 941-366-5731 for more info. July 4, 2018: Sarasota: Fireworks Spectacular over Sarasota Bay. Part of the Suncoast Offshore Festival, viewing is free from anywhere downtown including Bayfront Park and Island Park. The display is an awesome sight from a boat anchored on Sarasota Bay. Make sure you bring an umbrella just in case of rain. The Sarasota show starts at dusk or around 9:00 p.m. and is privately funded and charity focused and benefits Suncoast Charities for Children. July 4, 2018: Siesta Key: The 28th Annual 4th of July Fireworks Display is set to go! Fireworks over Siesta Key, are blasted off just north of the volleyball courts, so viewing is good from anywhere south and along Crescent Beach (south of Siesta Public Beach), out on the Gulf, or from the Intracoastal Waterway. Fireworks start around 9 p.m. For more info call: (941) 349-3800. July 4, 2018: Venice: The Venice area fireworks are fired from the south Venice Jetty in the Venice Beach area and there are a number of good vantage points: anywhere along Venice Beach, Nokomis Beach, or from a boat on the Gulf of Mexico or anchored on the Intracoastal waterway, northeast of the Jetty on the water. Fireworks go up after sunset. Beach spectators are strongly advised to not bring their own fireworks. With so many people, especially small children, individuals using fireworks can be extremely dangerous. Arrive early as thousands line the beaches, jetty and surrounding waterways. July 4, 2018: Bradenton: Fireworks display over the Manatee River. The fireworks display is handled by the City of Palmetto. People usually gather along both sides of the Manatee River Riverwalk waterfront in downtown Bradenton and Palmetto around 9 p.m.